Special credit to Jangbricks.com for this image. Force Friday is here, which means LEGO pages around the world will be reviewing the latest wave of Star Wars sets to hit the shelves just today. After wondering when this R3-M2 exclusive polybag would be readily available, I was pleasantly surprised to find that my local Toys R Us store was giving them out as a promotional freebie with a purchase of LEGO Star Wars. On its own, Toys R Us values this polybag at 5.00 US dollars. Let's take a closer look at this collectible figure! This polybag was a bit different right off the bat. Instead of being the regular kind of plastic bag you are familiar with, it's actually a very soft plastic material. This is a minor detail, but something interesting I noticed when the cashier handed me my copy of R3-M2. Along with the droid minifigure and display stand, the polybag includes a nicely printed backdrop that attaches directly behind your base with a couple of technic pieces to hold it on. The base does allow for more to be connected to this one, on both sides. It does appear that LEGO will be releasing several figures like this, as proven by the Scarif Stormtrooper special for September. Very interesting! I can't wait to see what other figures LEGO creates (hopefully some more iconic characters in the future). 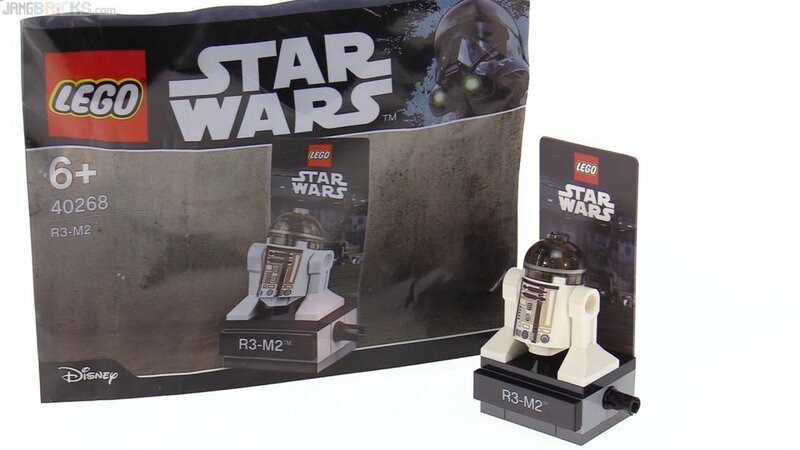 There are only two very minor things that were a bit disappointing to me about this poly bag, and those were the lack of printing on the back of R3's body (though we never get this with other figures, anyway), and that the R3-M2 tile on the front of the display is a sticker, not print. As someone who is not the best at applying stickers, that really irritates me for a display figure such as this one. Besides those two complaints, the display stand is a basic construction. I do really love the minifigure itself, with awesome printing on the front and also around that translucent black dome. As a bonus, those small backdrops included are an awesome addition. When it comes down to this little polybag, there are a few things to consider. 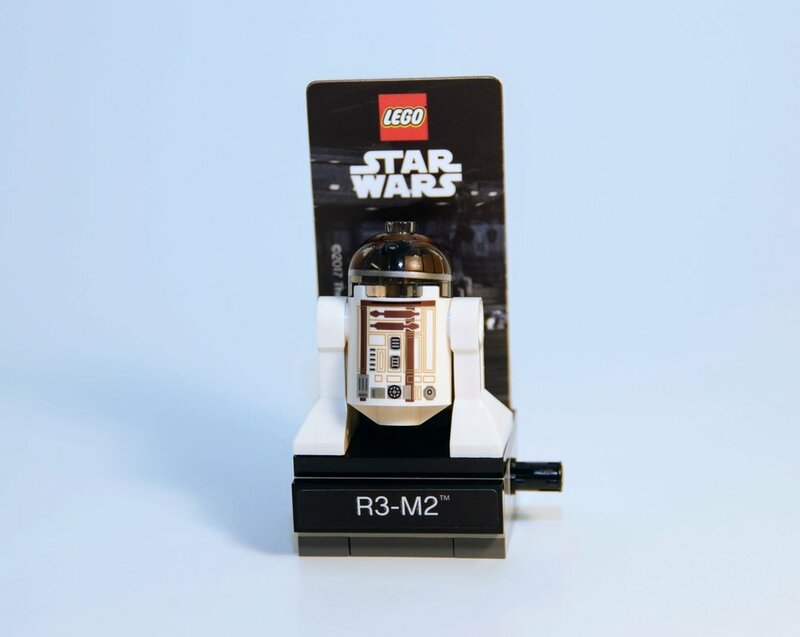 If you are buying other LEGO Star Wars sets, and your Toys R Us store participates in the promotional giveaway, I don't feel there's anything to complain about with this additional figure. If you were to purchase the polybag online for around $5.00, I personally would. What really matters is if you like to collect Star Wars minifigures, like me. I'm very happy to add this little guy to my collection. Speaking of which, it's time for me to wrap up this review with a rating! Figure: 5/5 Overall rating: I'll give it 5 out of 5 polybag set Nerdlys! 19 Years Later. . .